» Facebook Page, Group or Profile – Which is Best? 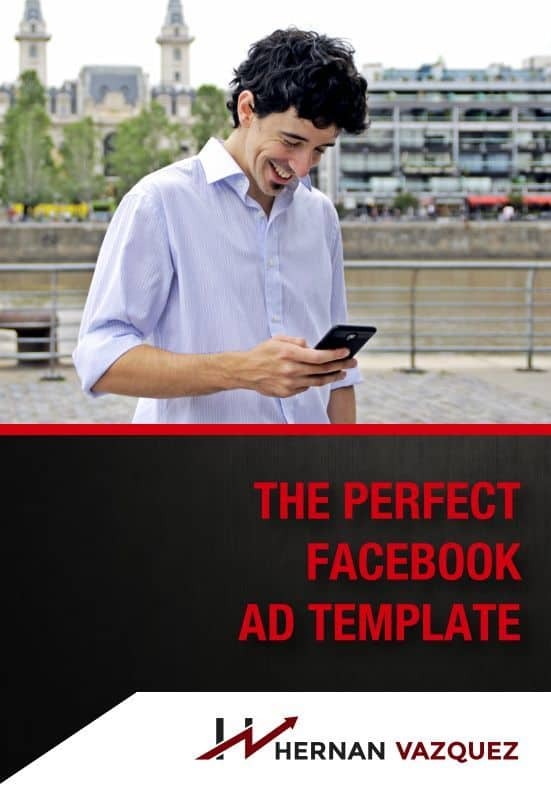 1 – For running paid ads: You should use a Facebook page. If you want to run any type of paid advertising with your live streams this option is the best. Your sales will increase definitely. 2 – To create and contact audiences : You’ll need a Facebook group. It’s a place where people can ask questions, and have a conversation with you. 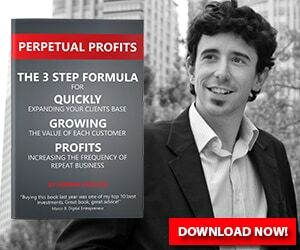 It's an extra step on your sales funnel. You’ll get many contact details from it and this is super useful. 3- If you don’t want to invest money yet: I suggest you to create your Facebook profile as you’ll get a high level of interaction and you’ll be able to send traffic to your Facebook group as well. But, take into account that a Facebook profile has limitations, such as the fact that you cannot mass email or mass message everyone. Facebook won’t allow you to do it. Which is something that you can with your Facebook page, because Facebook pages are designed for transactions. 4- If you can invest and you’re starting out: Definitely, you should build a Facebook page. It’s the best option to get a higher reach and promote your product/ brand massively. To sum up, I suggest you to build a Facebook page and start investing money, create a Facebook group where people can interact and clear their doubts about you/ your product. And optimize your Facebook profile to get more interaction and send traffic to your page. And as I said, if you don’t want to invest yet, a super well optimized Facebook profile would be enough to make some money! Hey guys, welcome to this live stream for the eighth of March the number eight of the month three of 2019. How are you guys today it is 5:50pm where I'm at right now in Buenos Aires, Argentina. Beautiful day today. And, you know, I've been trying to keep up with the labs been hard. It's been hard because we have been working hard for you guys. How are you guys hope you guys are super, super Well, welcome to this live stream as you come and see me and hear me and everything. She's put a one or just let me know if you guys can see me. All right, if you can hear me. All right, put a little comment right there. I would appreciate it if you wouldn't mind. Alright, what's up everybody. So I have some pretty cool news for you guys today. And I'm also going to be talking about my findings when it comes to, you know, Facebook group versus a Facebook page versus a personal page what, or a personal profile which one should you be using, which one should be promoting and whatnot. So it's going to be pretty, pretty awesome. Alright, so I hope that you guys are excited, as excited as I am. Now that being said, I'm holding a live training next week is going to be awesome. It's going to be 100% free. It's going to be 100% live during three days. And all you need to do is to go to her numbers, guess. com slash live training. Okay, go to www.hernanvazquez.com/livetraining and should be a link somewhere on your screen. So that you can come and ask question is going to be awesome. And it's going to be three days worth of live training on Facebook. Now, you need to be there. Because once I'm done on the number three, I'm going to take it down, I'm going to package I'm going to sell it as a paid product, right. So if you want to be there, be square. And you know, I'll send you the links to the pages where I'm going to be actually live. And when I was going to be on the Facebook page on these pages, longer be in the Facebook group is going to be on the YouTube channel, she's going to be on a super super secret squirrel. I'm just kidding. I'm just going to go live on a specific page. And the only way that you can access that page is by a hacking the CIA. I just said that on the live stream on Facebook. That's pretty cool. Be actually getting shared by somebody else. Or see by joining the live stream waiting list. And I really recommend that you do go ahead and join the live stream. Okay, the waiting list and whatnot. Now with that being said, if you want to join the Facebook group, the Facebook group and just one live on a Q&A all you need to do is to go to https://hernanvazquez.com/Facebook right there. And you know, you will be more than happy that you joined. Because we do share a bunch of good stuff over there. All right, I'll tell everybody, let's hop into the actual thing and theme for the day, which is basically, you know, how do I leverage the time that I got? Pretty much that is a question, right? We're talking about, hey, should I use a Facebook page, my personal profile should is a Facebook group. But the question at hand is, how do I actually leverage my time better, right. And by the way, if you really want to learn about productivity, I'm going to leave you guys a link to the productivity Academy, which is from my good friend and partner at a moody the guy's a beast, when it comes to productivity and being more productive, be more efficient with your time. So there's going to be a link somewhere around here after I'm done so that you can join the productivity Academy. He has a group, he also has a page and he goes like soup. So that's pretty cool. Now with that said, let me tell you guys a little bit about my experience when it comes to doing these live streams on Facebook group versus a Facebook page versus, you know, a Facebook profile. So the difference between the three for all of you guys that are not as well as versed on the Facebook ground is that the Facebook profile is something that everyone has pretty much right. their Facebook page is mostly the public facing the public facing page of any business. So it can be your own personal brand, or it can be your business. And from the Facebook page, all of the paid advertising originates from that page. Okay, so that's where the the paid advertising on interest rates from. So if you intend to run any type of paid advertising with your live streams, which I strongly suggest, and you do, then you need to post stuff on your Facebook page. So you need to go live on your Facebook page. And the reality is that the Facebook group is a place where people can come and ask questions, and you can kind of mother a conversation. It's an extra step on your sales funnel. So for instance, people are coming to my Facebook group, they are, you know, they're being invited to leave their email if they want some amazing training as well. So that way I'm capturing and putting them on my email list so that they can get some awesome training. And I'm also getting them into my chat bot, okay, so that I can also send them some good stuff via messenger and whatnot. And that is a place that is the space that I tried to keep it you no not, we don't try to keep it we keep it spam free, just because of the fact that we don't want to any spam over there was just one people sharing good stuff and sharing questions and sharing your struggles, which is real, right. It's like an interaction. And you can actually moderate community, you do not own that community, okay, that like you moderate that because Facebook owns that community, right. But you can moderate that. So right now, the Facebook group, which is digital marketing strategies for entrepreneurs is like 3800 people. And it's awesome because we moderate a lot of stuff. But you need to have in mind that you need to foster the engagement and whatnot. So he said, it's additional work, but it's really, really worth it. And it's really rewarding. Now, the difference between a Facebook page and a public Facebook profile is that a Facebook profile is intended for you to be in touch with your families and friends and whatnot, right. So you will notice that there's some limitations when it comes to profiles, right, you cannot mass email all of your contact, well, you can try but you will get banned, you will get limited by Facebook. So you cannot mass email everyone or must message everyone which you can with your Facebook page, because the Facebook pages like a more much more transactional space. Now, with that being said, Facebook profiles usually get a lot more reach when it comes to anything that has to do with interaction, right. If I post something on my Facebook profile, I get 50 likes and 100 comments, right or the other way around. If I post something on my Facebook page, though, I don't get nearly as many reach as much reach even if I have like three times or two times the amount of people liking my Facebook page. And the reason why is because Facebook pages are mostly intended for you to promote your business for you to promote your brand, your your community, your your idea, right. And at the end of the day, the efficient management of a Facebook page does require you to invest some money on advertising, if you want to get reach. And you know, that's that's basically the way it is now if you're starting out. And if you don't have enough money, what I would suggest is that instead of going out there and try to build your Facebook page, go ahead and try to build your Facebook profile. you will notice that I have a couple call to actions there. And everything that I posted there is intended for people to come and join my Facebook group, because that's an additional step, right. So they friendly, they find me somewhere they find me online and find me, you know, publications are they come through, they come to me through groups, right. And they might end up joining the Facebook group, because that's my call to action right there. So that is something that you want to consider. Now, when you're standing out again, you might not have money to advertise that is fine, you need to take the organic route. And if you're thinking about organic, the highest of the three between Facebook profile, Facebook page and Facebook group, if you put them in order of organic reach, the Facebook profile will be the highest, the Facebook group will be the second highest. And then the Facebook page will be the third one on that list. So if you think about organic, you really need to build your profile. And believe me, you can make a lot of business and a lot of money. Just by having an optimized Facebook profile with the caveat that anything that you do there, you need to be connected. It's like LinkedIn, right? You need to be connected to other people in order for you to get that message to that people. And even if you have like 5000 friends like I do, or me or close to that I had to you know, eliminate a bunch of inactive profiles and whatnot. But even if that's the case, you don't get to everyone you get to people that you engage with the most Alright, so a really quick did that I can give you a really quick hat is that whenever you get connected with somebody just started conversations is just say don't spam. Just start a conversation and saying, hey, really good connecting with you, what can I do for you, blah, blah, blah, because on two main things, number one is that that person will start senior person and publications because you got connected messenger. And number two, who knows you can start a good relationship and you start with the right foot. Okay, so that is something that's a little quick quick hack that you can use right now. So with that being said, use your Facebook profile initially, but then you want to eventually migrate to a Facebook page because Facebook page do not have limitation as to how many people you can reach. You can reach millions of people on Facebook using Facebook pages and paid advertising and that is something that I'm going to be talking about next week during the live training. Okay, so if you want to go to https://hernanvasquez com/livetraining sign up for the waiting list it's gonna be awesome it's gonna be great and it's gonna you know it's going to blow your mind I'm going to blow your I have I have made a promise when it came back to one Cyrus after front of her life that I was supposed to blow your mind with value that's going to happen next week during the live training. Alright so that make sense guys that clears a little bit the confusion between should I use a Facebook group should I use a Facebook page few standing out I would suggest optimize your profile be really helpful or some other Facebook groups will be really helpful with people and then people can start doing business with you that's happening to me a lot that's happened to me a lot initially it's still happening to me and then you want to migrate to I would say a Facebook page for a public facing and then a Facebook group if you have the resources to manage a Facebook group because the reality is that the larger the Facebook group is the more manpower a were required to manage it. alright guys so thank you for hanging out with me I hope that you guys have an awesome Friday I really hope you do and again Come join me for the live training is going to be awesome it's going to be free and Be there or be square as it being said Alright guys, so having awesome weekend maybe I hope online and you know, we can discuss a bunch of stuff during the weekend. If not have an awesome weekend. I'll talk to you guys really, really soon.